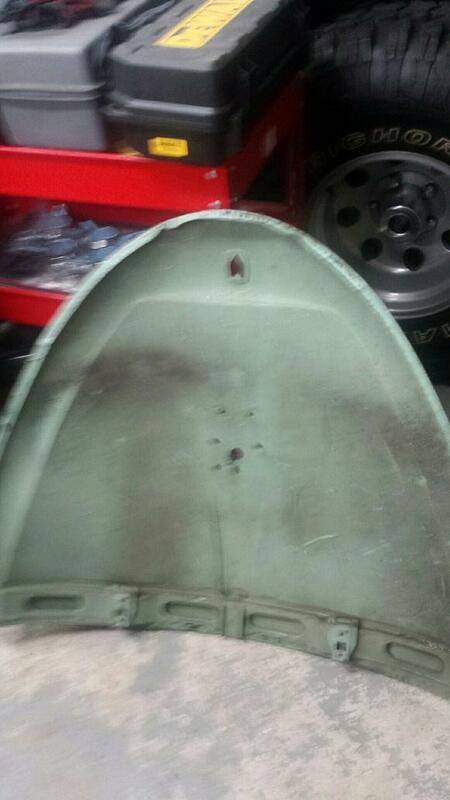 Anyone know why this decklid doesn't have the reinforcement piece where the latch goes thru? I don't see any sighs of the piece ever being there, no spot welds, no holes. Supposedly the decklid is from a '62. Not a 62 (which would have a 58-63 style lid) , note it has a push button latch 65-66, so no inner structure. As a used lid, yes a 65, but when I worked at a dealer 1971 -72 era. 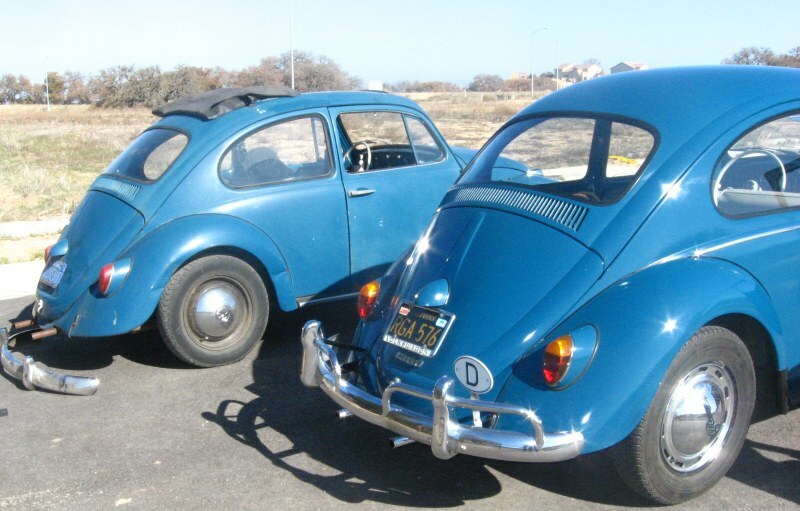 The factory replacement hood for 65-66 did not come with any holes ( except for the latch ) because those hoods could be used for T-111 "A" sedan 1965 which had no script and used the 63 and earlier license plate lamp, or a T-113 deluxe 1965 which had no script and used the 64 and newer larger license plate lamp. 1966 T 111 1200A used the 1200 script and the old style small license plate lamp. 1966 T 113 used the large license plate lamp and the 1300 script. That is also why front and rear fenders were not drilled for tail lamps and front turn signal lamps. Wouldn't an OE 65 have the wider span for the larger license plate light mounting holes? Yes someone drilled holes for an earlier light housing. That's what I'm saying. Where are the other holes? Possibly a repop? Apparently you didn't read my post. My 65 type 111 is a "A" sedan.